12+ Seeds. 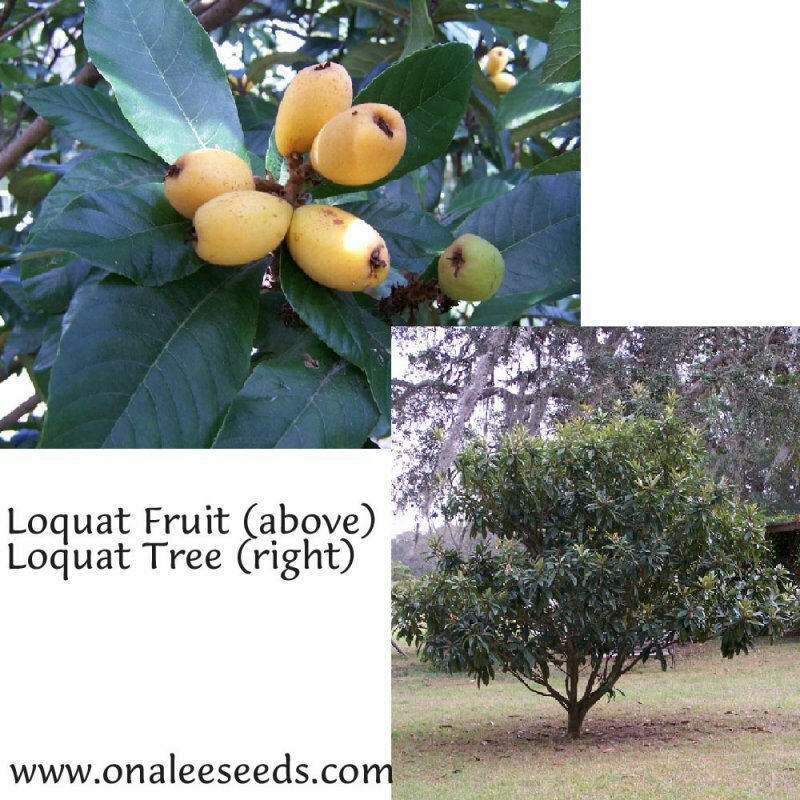 The loquat tree is an evergreen that grows from 18 to 25 feet high. These trees are hardy to zone 9a, grow in full sun or partial shade. 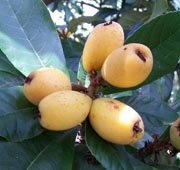 Loquat fruits, growing in clusters, are oval, 1 - 2 inches long and sweet when ripe. 12+ Loquat Tree / Japanese Plum Tree/ Eriobotrya japonica Seeds and planting/growing instructions. 100% Organic / no pesticides have been used on these trees, fruits or seeds. These seeds do not store well, so they are offered only in the spring when they are freshly harvested. They will need to be planted shortly after you receive them. 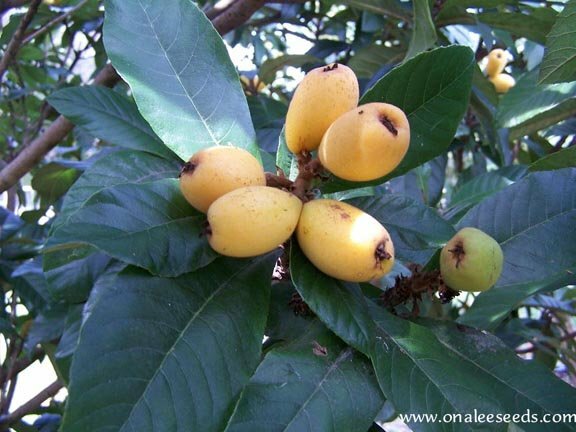 The loquat tree is an evergreen that grows from 18 to 25 feet (5.5 to 7.6 meters) high. It is grown extensively in Japan. The tree was brought to the United States from China and Japan in 1784. Today, it is grown commercially in California. It also grows along the Gulf Coast and in northern South America. These trees are hardy to zone 8 (reportedly root hardy to zone 7), grow in full sun or partial shade. They grow well on a variety of soils of moderate fertility, from light sandy loam to heavy clay and even limestone soils - but need good drainage. Fruit: Loquat fruits, growing in clusters, are oval or rounded 1 - 2 inches long with a smooth or downy orange/yellow skin. The flesh, when ripe is sweet and can be eaten right off the tree or used for jams and jellies. Of course, any that you can't reach, the neighborhood birds will be happy to have as a late winter/early spring snack!